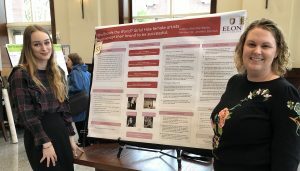 During senior year, students participate in an undergraduate research capstone experience, resulting in an original thesis. Students work with a faculty mentor who guides them through the research process. 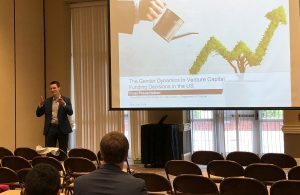 The Gender Dynamics in Venture Capital Funding Decisions in the U.S.
Venture capital is a critical source of funding for early-stage emerging firms in the startup ecosystem in the US to support those companies’ growth and innovation opportunities. Yet, women entrepreneurs appear to be significantly less likely to receive funding from venture capital investors than their male counterparts, resulting in a gender gap and disparity in venture capital funding decisions. This research aims at identifying the effect of variables derived from the body of research on funding outcomes, i.e. the number of founding rounds and the total funding amount that female entrepreneurs received from investors. Specifically, effects examined include the geographic and sector distribution of startup firms with female entrepreneurs, size of the firms, stage in the venture funding cycle as well as the number and gender of investors. Based on a dataset retrieved from Crunchbase, which provides information on funding rounds, investors and startups, and using multivariate analyses, we find that female founders are underfunded compared to male counterparts and that a combination of effects examined have an impact on the funding outcome, indicating that explanatory approaches from the literature are evident in actual venture capital transactions. This research contributes to the existing body of literature by combining underlying factors from both major streams of research that appear to impact female entrepreneurs’ ability to attract venture capital from investors. Research directed towards the underlying mechanisms of the gender gap has identified investordriven explanations to shed light on biases and homophily of investors against female entrepreneurs. 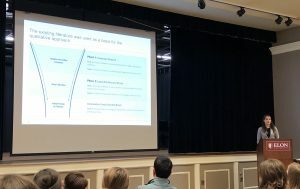 Entrepreneur-driven approaches, on the other hand, have focused on the demand side seeking venture capital, implying that the funding disparity is likely to be attributed to a strategic choice of female entrepreneur’s to be associated with less capital-intensive businesses and lower risk tolerance inherent in growth efforts that are accompanied by less desire for venture capital. Scenes of soccer fans leaving the terraces shortly before kick-off, holding up banners, and verbally expressing their frustrations have become familiar to most clubs in the Bundesliga, the professional soccer league in Germany. In Dortmund, fans protested their new stadium name, Signal Iduna Park, named after an insurance company. Meanwhile, in Leipzig, Red Bull founded their own team and experiences disapproval from numerous fans. While involved fans understand the necessity of sponsorships, they seem to be particular and do not want just any organization to be associated with their favorite teams. If fans do not approve the sponsorship, they may resist, which ultimately can have harmful consequences for both the clubs and fans. Recent literature mostly concentrates on sponsorship effectiveness and success factors related to profitable partnerships, mainly taking a sponsor’s perspective. Presently, minimal research exists that can be used to alert the management of sponsorships regarding potential negative reactions or even resistance from fans resulting from sponsorship selection. Consequently, there is a need to further understand the nature of fan resistance, the reasons why fans oppose certain partnerships, and the factors that determine fan resistance to certain deals. This work thus aims to extend existing research by identifying new aspects that contribute to fan resistance as well as the consequences to fans and their clubs. To develop unique insights, the Bundesliga is chosen as the subject due to its popularity in Europe as well as its increasing commercialization. In-depth interviews were conducted with eight fans in order to gain a deeper perspective. Grounded theory was used to categorize participants’ responses, identify the conditions that lead to fan resistance, and determine the consequences of fan resistance. Accordingly, various dimensions of fan resistance were identified, starting with boycotts, to fans “turning their back” on their favorite team if they consistently feel misunderstood. Moreover, factors including sponsor-team misfit, partnership inconsistency and a sponsor’s image, all were found to contribute to fan resistance. Altogether, this research sheds light into the fan-level perceptions of resistance to sponsorship decisions and provides managers with insights regarding decisions about future sponsorship commitments with other corporations. Technical trading strategies attempt to predict future stock movements based on past price developments. Permutations of these strategies are ever evolving with several books documenting a variety of techniques. Nonetheless, there is much controversy about the ability of such strategies to generate returns above those of passive trading strategies. Some investors rely on technical trading, while many people believe that asset markets are efficient and that these strategies cannot consistently and systematically provide investment opportunities above market standards. The hypothesis of the project is that returns will vary across geographic regions (i.e. countries) because even though investors have come to allocate funds much more internationally over the last decades, domestic investors still are a crucial factor. Furthermore, the returns from the selected strategies over the last 30 years are expected to not beat market standards the same way prior research has found them to do over the first 80 years of the 20th century. To test these hypotheses, the project examines the profitability of some of the most popular trading strategies over the last 30 years, using various statistical tools to determine if the technical trading strategies examined can indeed provide superior performance. These tests were executed for three markets in different geographic regions. The results for the different samples are evaluated to determine if there are any substantial differences in the returns generated across different geographic regions. 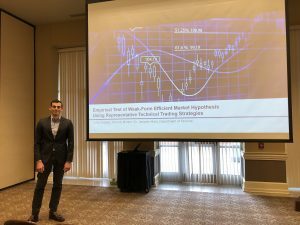 If well-known active trading strategies can consistently outperform passive strategies, this could indicate possible inefficiencies in the market. This should help draw a conclusion about the development of market efficiency regarding the use of the selected technical trading strategies. It is estimated that more than 90% of all start-ups fail within the first three years. Each failure has the potential to reduce the will of entrepreneurs and investors to create and to curb innovation. The purpose of this research is to demonstrate how the study of entrepreneurial failure can aid entrepreneurs develop start-ups successfully. Entrepreneurial failure happens when the expenses of a company are so large in comparison to revenues that the company is unable to fund its operations, forcing it to shut down. I define start-ups as young innovative high growth business ventures that specialize in technologies. Research on the mindsets related to failure and on the benefits of failure for the entrepreneur on a personal level is already extensive. However, the literature does not adequately address the merits of looking at past entrepreneurial failures as a guide in the creation of new companies. This project seeks to answer the following research question: can studying past entrepreneurial failures provide a method to avoid future pitfalls in business ventures and be a source of sound original ideas? For that, I have conducted interviews with entrepreneurs of failed ventures to gain an understanding of the reasons for their business failure and the lessons that can be learned from them. I supplemented these interviews with publically available data to build four case studies as illustrations of ways entrepreneurs can turn failed start-up ideas into successful companies. For each case I focus on the business model, timing, management and aspects of the value chain and how they relate to the failure of the firm. That information allows us to identify whether an idea failed because of a flawed concept or because of a flawed application. If the execution was the issue, a case can then be made for reusing failed start-up ideas. My preliminary findings indicate that would-be entrepreneurs should study entrepreneurial failures at least as much as successful ventures when drawing ideas and gathering good practices for their own companies. In 2016, Alamance County experienced over 3,000 residency evictions, forcing over 5,000 people to move in with relatives or find alternate housing. The only state recognized homeless shelter in the county, Allied Churches of Alamance County (ACAC), has enough rooms to house 102 of such clients, but the remaining turn to homelessness. This study partners with Allied 50 Churches and the United Way of Alamance County as part of a comprehensive assessment to input and catalog these public record eviction notices for the purposes of better understanding the neighborhoods, landlords, and situations that place residents at a higher chance of being evicted. Eviction data was collected from the county records at the Alamance County Historic Courthouse and stored in Microsoft Excel for analysis. After collecting the addresses of evictions from the data, these were plotted using ArcGIS software, a mapping software. Spatial and econometric analysis was used to examine the demographic and geographic patterns of these evictions, and calculate other factors related to distance to social services, rent due at the time of eviction, and types of complaints. In the time frame of January 1, 2016 to June 31, 2016 evicted totaled 1026 in Alamance County. Over 60 percent of the evictions took place in the city of Burlington, and 90 percent occurred within conventional housing. The rental median was roughly $606, $144 less than the county median for quality housing. The average number of months in back-rent was less than two, suggesting a quick turnaround in rental properties. When mapping our evictions, our findings revealed that a non-proportionate number of evictions come from areas of concentrated poverty – that is those with a high percentage of female headed households, under 100 percent of the poverty level, and from non-white communities. For ACAC and the United Way, this information is critical to developing services that will devote more resources to keeping renting families in their homes, whether that be through increasing affordable quality housing initiatives or expanding rental or legal aid to residents who may experience a drastic temporary loss of income and may be susceptible to eviction. From the earliest history of the music industry, women have been relegated to sexual objects, meant to please the eyes of men in the lyrics, video clips, as well as in their own presentation of themselves as artists. Research has also shown that these manifestations of sexism in the music industry negatively impacts audiences (Hurley, 1994). Lieb’s (2013) brand analysis of female pop artists demonstrates the intense pressure female artists endure: they have to be intensely attractive, make their private lives publicly available, and leverage their core assets (bodies and sexual availability) beyond music into film, television, fashion, or publishing in order to establish short-term success. Men do not face these challenges (Lieb, 2013). The purpose of this research is to understand differences in how brands operate for male and female artists, and the trends in female empowerment through their brand. My research seeks to identify the ways all women in the music industry suffer from gendered constraints, and the ways successful women are able to resist the male dominance of the music industry. Moreover, my research identifies examples of women who have made a career in the music industry by staying true to their art and standing out for gender equality. To answer these questions, I am using Lieb’s Lifecycle Model for Female Popular Music Stars (2013) to analyze how two successful career artists have managed their careers to achieve – and maintain – brand success over time. Initial findings from these cases suggest that female artists’ path to empowerment lies in both embracing the constraints of the personal brand as well as using their personal attributes to resist brand pressures. Authenticity, boundaries, and artistic reinvention might, in fact, lead to career longevity. In addition, the public showing of their body, sexuality, and personal lives often conveys a negative message of female subordination to the audience, although artists’ intent is often to promote female empowerment and to convey a feminist message to the world. Since the first implementation of blockchain in 2009 through the crypto-currency Bitcoin, it is expected that the technology will unlock new possibilities across a wide range of industries. The financial sector, who has always been keen to adopt new IT systems, is already developing its own models. Researchers wrote about global blockchain planning systems linking our organizations and data together allowing realtime assurance and management. To fully enable automated continuous auditing systems, blockchain-built databases must be interoperable and shared widely instead. Then organizations will be able to have a shared perception based on unique and accurate distributed data. Yet, ultimate integration of blockchain to our systems is contingent on improving the technology to fix issues such as efficiency and scalability. The Rise of the Craft Beer Industry in the United States: Can this industry also thrive in France? Over the past three decades an increasingly fast moving trend has appeared in the beer industry in several parts of the world: craft beer. This movement advocates for deep brewing knowledge and the use of quality ingredients in order to create tastiest beer. The number of microbreweries in the world has increased dramatically (5,000 breweries in the United States in 2017, brewersassociation.org) even though the beer market seems to be largely dominated by massproduced beers. Craft beer producers stand against all big beer manufacturers and are able to win market shares in this highly competitive industry. The craft beer scene is a fast expanding one, it attracts more and more people every day. It is full of passionate individuals ready to dedicate their time and money in order to produce the best beer for consumers willing to pay more, drink less, but drink better. Our central point in this research paper is to understand how and why the craft beer market is expanding at such a quick rate in the United States and to determine if this expansion is possible in France. The preliminary results taken from online information, specialized books and interviews of key actors of the craft beer scene (brewmasters, brewery owners) lead to the conclusion that craft beer has a bright future both in the USA and in France. Research conducted in international business has shown that marketing adaptation and partnership with local businesses have been two different strategies assessed and executed separately by firms when entering foreign markets. There is also very little research examining the correlates of adaptation and partnerships as one single strategy in foreign market entry. This study provides a formal investigation of the conditions under which both strategies can be used SURF 2017 92 concomitantly in order to reduce uncertainty, gain knowledge and thus successfully enter a foreign market. This research design involves a series of in-depth personal interviews with owners of foreign food businesses willing to start or having succeeded in starting a business in the United States. Preliminary results suggest that successful concomitant implementation of both strategies is dependent on the company’s ability to select and partner with the right existing local business upon foreign market entry. This thesis contributes to understanding the decisionmaking process for entering foreign markets. This study explores how predictive analytics can be applied in higher education to increase the financial contributions of donors through targeted fundraising. Fundraising is a critical source of capital for public and private educational institutions to help them build resource independence. With multiple organizations competing to attract contributions from donors, it is important to identify donors who are most likely to contribute financially to their educational institution. The purpose of this study is to build a predictive model using logistic regression to classify donors who are most likely to give at a private university. The data for the analysis is an anonymized sample of nearly 20.000 alumni in a small private university in the United States. The variables evaluated include information regarding the alumnus education (e.g. major and minors), employment, event attendance after graduation, life stage, as well as activities and memberships while studying. The analysis will begin with data cleaning and scrubbing, followed by statistical exploratory analysis and visualization to confirm all logistic regression assumptions are met, data will then be split into training and validation sets, and finally a classification model will be run and evaluated based on its performance on the validation dataset. The results of this study will help university administrators target key donors to increase their donations, while minimizing their fundraising cost. As most companies today work in a highly dynamic environment, they not only need new products and services but also an innovative functional sales process. Companies that create an agile environment can create more innovative products and services. The idea of applying agile methodology in all business sectors to support innovation, was discussed in a recent Harvard Business Review article by Rigby, Sutherland, and Takeuchi (2016). Over the past 25 to 30 years, agile methodologies have completely changed the process of software development. Recently, they have started to spread across a broad range of industries and functions. Yet, scant research has investigated the use of agile methodologies in the sales industry. An agile adoption allows the organizations to increase the quality and speed of new products into market as well as boost the motivation and productivity of their teams. Moreover, by continuously adapting to customers’ changing priorities, agile improves customer engagement and satisfaction by bringing products and service faster, more predictably, and more customer-centric into the market (Rigby et al., 2016, p. 43-45). As sales departments are struggling to implement innovative sales processes, and as agile methodologies have a proven record of improving the processes of software development, the purpose of this study is to determine if sales management could adapt these methodologies and apply them in the sales context. Specifically, this research seeks to determine what types of agile methodologies (if any) sales companies are currently using. Further, it is essential for sales organizations to understand how agile methodologies from the software development industry could be implemented, as well as uncovering the benefits and impediments to such an implementation in sales. These research questions have been examined through multiple in-depth, semi-structured interviews with sales representatives and agile experts. What is the Potential of Business Model Innovation in the Transportation and Logistics Industry? In the past, leading logistics service providers have leveraged their global freight networks to offer advanced services to their customers. At the same time, the transportation and logistics industry has to react to market forces influencing global trade and means of transportation. Literature review and empirical research show that technological forces exert the biggest pressure on logistics service providers in the 21st century. Firms are required to examine current trends for their implications and future potential for transportation and logistics. To build sustainable growth in reshaping markets, logistics service providers must leverage emerging technology to develop new solutions addressing the customers’ demand for increasingly transparent and efficient logistics services, while adhering to given regulations. The use of organized innovation procedures focusing on opportunity exploitation and business model adaptation can be a major success driver for logistics service providers. To explore the business model innovation approach, the author conducts a company case study on DB Schenker, a leading German logistics firm. Interviews with employees from different levels and divisions in Germany, Australia and the US provide information on global innovation management in a large organization and the implementation of new solutions, taking regional differences into account. The findings show how DB Schenker established an in-house innovation team to investigate trends early and collaborate with selected external partners to develop new logistics solutions. Ecommerce, the digitalization of workflows and platforms, big data analytics and automation are key developments DB Schenker currently investigates. By implementing new solutions and adapting existing processes, DB Schenker reshapes its business model to respond to market developments. The key findings regarding the potential that business model innovation has for the transportation and logistics industry will be presented. While the primary focus of many consumer brands’ content marketing efforts has shifted towards social media platforms, the homepage remains an important source of consumer information. Yet only a sparse literature has examined its efficacy. The particular focus of this research is informational and/or visual homepage complexity. Prior research examining its effects on a range of dependent variables shows mixed results. Theory and some empirical research argue that moderately complex stimuli would have a greater effect than simple or highly complex stimuli. However, some other empirical research finds that simple stimuli have the greatest effect while still other studies find highly complex stimuli are the most impactful. 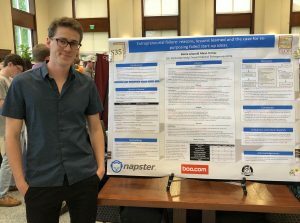 In this research, we propose to contribute additional empirical evidence to the question of optimal complexity levels while extending it to an examination of homepage complexity’s effect on consumer behavior. Fewer still of the studies that comprise this sparse literature examine homepage complexity’s effect on consumer behavior. In a 3 x 2 between subjects design, informational complexity is manipulated at three levels (low, moderate, high) and buyer purchase involvement at two levels (high, moderate). Stimuli are invented plausible homepages for a “heretofore unknown Australian university recruiting US students,” a category evoking high involvement, and a “heretofore unknown European brand of athletic shoe about to launch in the US,” a category evoking moderate involvement. Each of these homepages is executed at three levels of complexity according to the number of visual features and the size of the blocks of text they exhibit. Subjects will comprise a convenience sample of US university students. Each experimental participant is exposed to the homepage of one of the two product categories at one level of complexity. A range of dependent variables (purchase intent, attitude towards the website, attention towards the website and attitude towards the brand) will be considered.